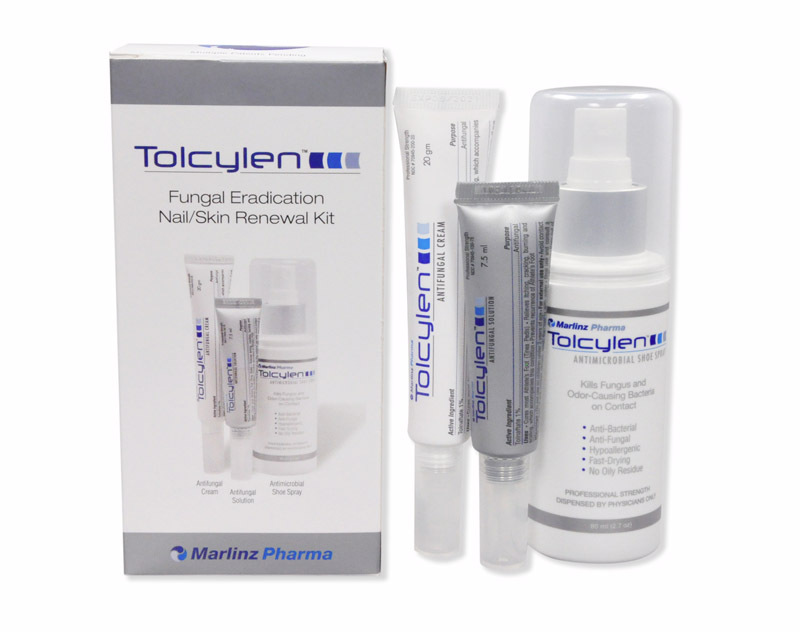 Tolcylen™ Antifungal / Nail Renewal Solution is the first and only antifungal, cosmetic, and nail renewal treatment, all in one product. It is available without a prescription and dispensed exclusively through physicians. 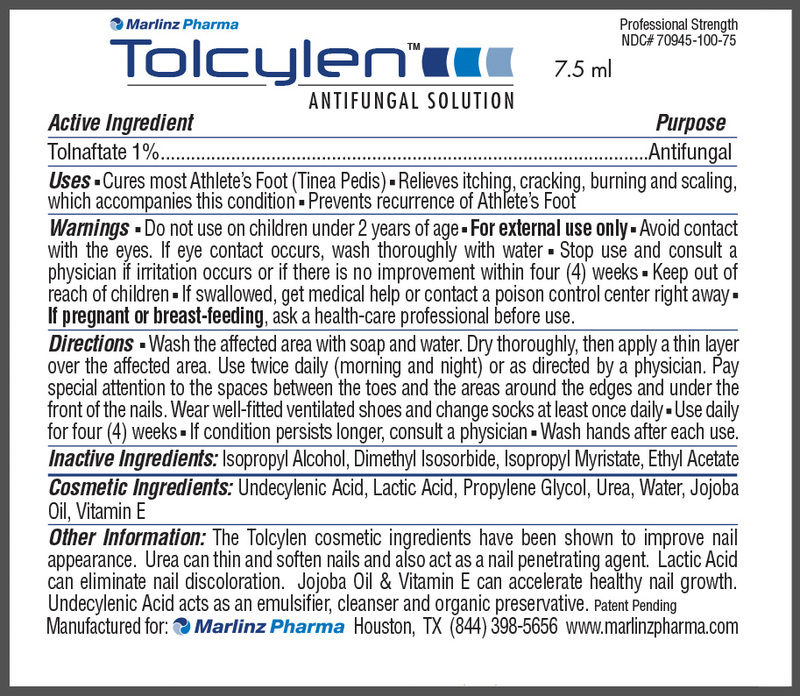 Tolcylen™ is the only antifungal product of any kind to feature FDA approved antifungal and proven cosmetic agents. These agents are emulsified in low molecular weight, low surface tension excipients, similar to the excipients used for FDA approved topical Rx drugs that are proven to penetrate and carry antifungal agents through the nail plate. 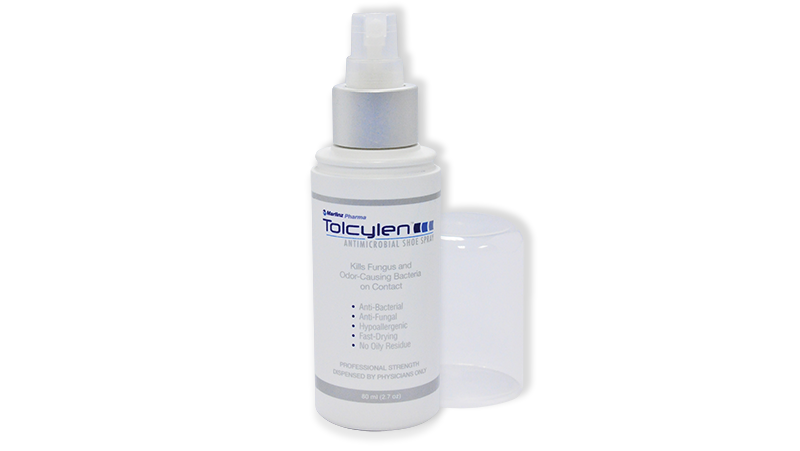 The Tolcylen™ cosmetic and renewal agents are able to rapidly improve nail appearance in compromised nails. Urea, Lactic Acid and Propylene Glycol softens, thins and lightens brittle and discolored nails while acting as penetrating agents for the other ingredients. Jojoba Oil and Vitamin E can moisturize and revitalize nails, while promoting healthy nail appearance and growth. The patented delivery system is user friendly and the applicator tip controls flow while effectively dispensing medication on the nail fold and hyponychial areas on the edges of nails. 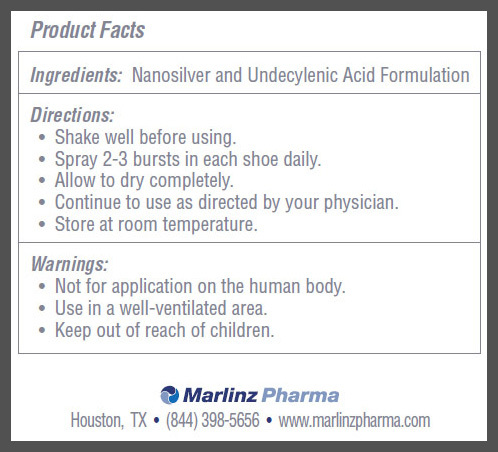 Tolcylen™ Antimicrobial Shoe Spray is the first shoe spray to combine colloidal silver and undecylenic acid in a single formulation. It has antibacterial, antifungal and sporicidal properties making it effective at eliminating foot odor and preventing fungal growth. The active silver ions can penetrate the leather and insoles to effectively keep footwear microbe free over an extended period. 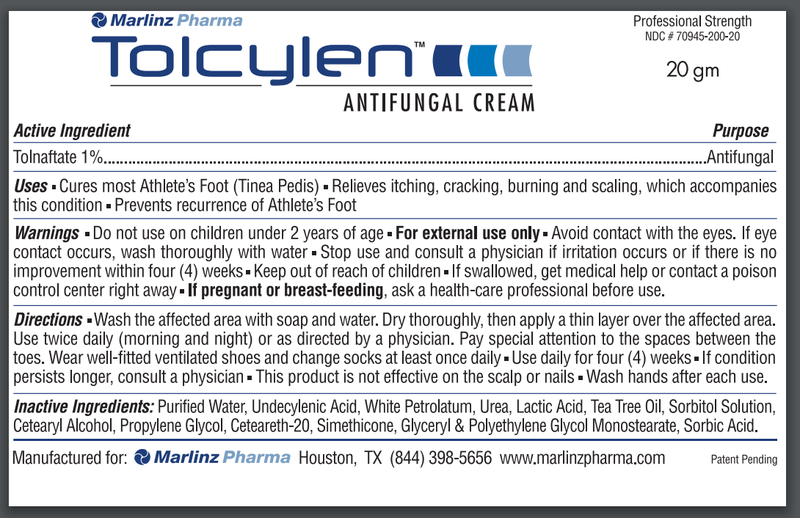 Tolcylen™ Antimicrobial Shoe Spray is safe, non-toxic and contains no fragrance or dyes. It is hypoallergenic and rapidly dries, leaving no oily residue. 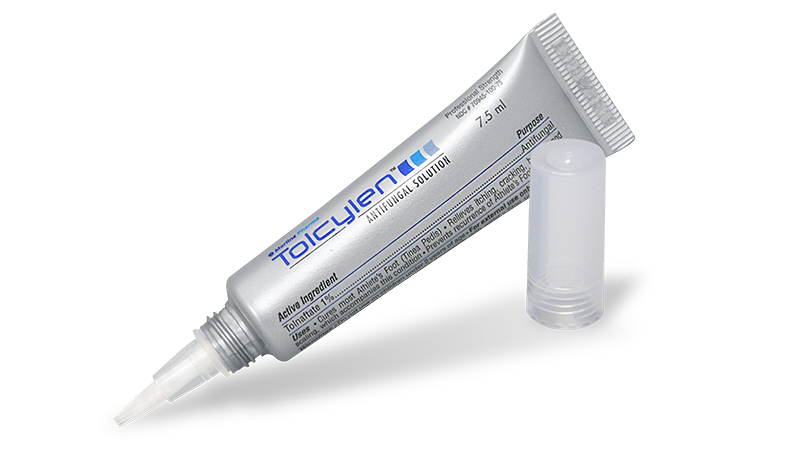 Tolcylen™ Antifungal Skin Cream utilizes tolnaftate, undecylenic acid, tea tree oil, urea, lactic acid, propylene glycol and other proprietary excipients in a specially formulated vanishing cream base. It is specifically formulated to cure and prevent most athlete’s foot while also exfoliating and softening rough skin and normalizing skin coloration. The cream is dispensed through a touch-free, leak-proof applicator and soft tube preferred by patients. This combination of ingredients is also proven to relieve itching, cracking and burning and hydrate skin. 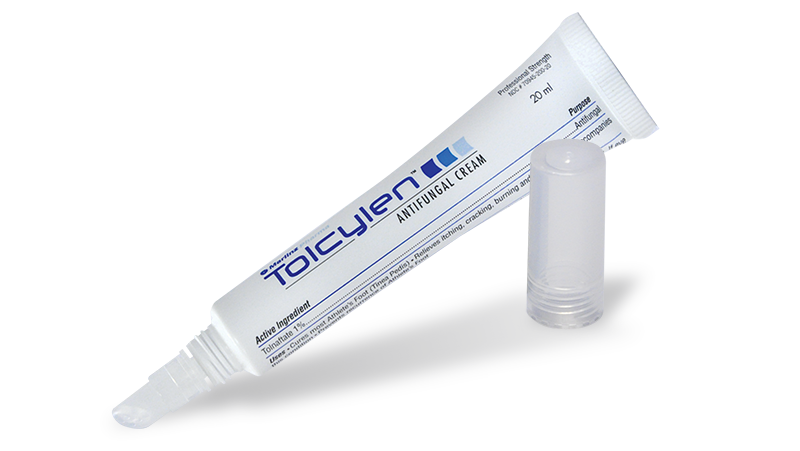 Tolcylen™ Antifungal Skin Cream dries quickly and does not have an unpleasant odor.